This is a fine, fresh and delicate sparkling wine of superb quality, produced from Glera, Bianchetta and Perera grapes. The Dru El Cru is the perfect sparkling wine for all occasions. This Semillon Chardonnay Chenin Blanc is a crisp, fresh wine with generous citrus and passion fruit flavours that linger, creating a satisfying finish. Light straw in colour with lime green hues, dominant aromas of freshly squeezed lime and grassy notes while hints of crisp capsicum are still evident. Sweet lemon and lime flavours bring softness to the palate while hints of snow peas add a savoury aspect allowing the palate to flow into a long crisp finish. An attractive mix of citrus blossoms and rose petals on the nose that carry through to the rich and flavoursome palate. Distinctive lemon and grapefruit flavours are enhanced by crisp and racy acid that perfectly balances the residual sweetness. A fresh flavour and light body with flavours of rose grapefruit, ripe fruits like peaches and pears. A balanced wine with great finesse in aromas and flavours. Pale green in colour with shades of yellow. Aromatic honeysuckle and peach on the nose. Fresh and crisp on the palate with tastes of tart green apple. 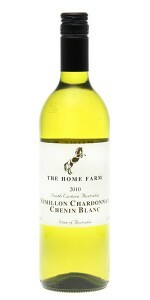 This white wine comprising mainly of Chardonnay and Sauvignon, has an intense yellow colour. Its prominent aromas of peach, with floral notes. In the mouth it is crispy, refreshing and long. This wine features aromas of gooseberries with hints of peach and lemon. The finish is crisp and fresh with a good balance. This wine is straw yellow in colour. Notes of green apple, vanilla, cucumber and pear, with juicy and glutinous citric acidity on the palate. The first impression in the mouth is fresh and silky, crunchy ripe fruit flavours then appear. “Great finesse” is the best description for this ensemble. Surprisingly long finish. Vaudesir is a very rich and charming Grand Cru, making for a classic Chablis with great freshness, minerality and power. A generous and racy wine. A generous and very elegant wine. Pale gold in colour with amber flashes. Intense nose of flowers, brioche and candied lemon, with secondary aromas of hazelnut and spice. On the palate the wine is straightforward with good texture and finesse. It has a long aftertaste where white floral and gingerbread notes dominate. Rich and luxurious wine, well balanced and structured in the mouth. Beautiful golden yellow in colour with aromas of toasted nuts and ripe fruit. On the palate it is dry and mellow with a lingering finish. This is a rich and tasty wine that ages well. Almond nuances, truffle and other niceties are revealed in the taste. An elegant and complex dry white, with crisp notes and flavours of apricot, quince and almonds on the palate. Inviting pineapple and peach aromas. On the palate there are delicate spices with butterscotch and vanilla overtones. Clean fruit and herbaceous flavours combine with refreshing acidity. Dry and intense, with a powerful mineral almost gunflint edge. It is edgy, bursting with gooseberry fruit, a hint of fresh herbs and a mouthwateringly fresh finish. Pale yellow colour with green reflections and an expressive nose. It is a balanced wine with a pleasant liveliness. Elegant nose of pear, apricot and hawthorn, which opens on aniseed notes. A pure aromatic expression with intense minerality and the presence of a subtle roundness, offers a beautiful harmony which continues on an air style finale. The 2010 Urziger Wurzgarten Auslese is lush and ripe, with complex layers of peach, apple and citrus flavours. Its full, fruit driven sweetness is held together by the intensely taut, racy acidity that is characteristic of this vintage. Bright golden yellow in colour with a flinty minerality and an animating, very well integrated tartness. The opulent ripe yellow fruit with pineapple and mango as well as a hint of elderberries and a pinch of salt in the aftertaste makes this a memorable wine. Very well balanced. A smooth red wine. It is made solely from Montepulciano grapes. The colour is dark red, the palate brings intense impressions of cherries and soft spices. This results in a medium bodied wine, which holds lovely soft tannins. Fruity bouquet with exotic notes, leading to a dry, full, velvety taste. Fine aromas with characteristics of wild flowers. The palate is dry, well balanced and pleasant. Light and fresh with crisp apple fruit flavours. The wine has a floral aroma, with masses of fresh fruit flavour on the palate. An elegant style of wine which is ideal on its own. The wine is a pale, blush colour with a bouquet of fruited elegance. The taste is delicate, fruited and persistent. Bright ruby red with an intense and elegant nose with scents of berries. Taste is velvety, round and full bodied with hints of green pepper. Deep ruby red with violet flexes. An intense nose, vinous, typical with hints of spices. The wine is dry, full bodied and velvety with a light reminding of cocoa. Intense ruby red in colour with a pleasant bouquet of red fruit and spice on the nose. On the palate, it is dry, full bodied with a velvety texture and hints of cocoa. Bright ruby red in colour with an intense and elegant aromas of black fruit and ripe plum. On the palate it is smooth and harmonious with well rounded flavour and a hint of green pepper. Delightfully salmon pink in colour, with a fresh bouquet of strawberries and ripe summer fruits on the nose. On the palate it is bursting with flavour and has excellent balance. Delicious on its own or with a meal. Bursting with tropical aromas of passionfruit and nectarine. Meticulous grape selection and cold fermentation contribute to an abundant spectrum of stone fruit and tropical aromas. Extended lees contact adds depth, texture and balance to the palate. Full bodied Chardonnay with citrus and peach flavours is what you will find from our 100% French barrel fermented and 100% Malolactic fermentation Chardonnay. Aromas of pineapple, gooseberries and guava dominate. The weighty palate presents passion fruit and gooseberry with a zesty lime backbone and a lengthy finish. Crisp, dry and subtle with medium body. The nose charms with an abundance of guava and gooseberries. The palate is balanced by crisp acidity to ensure a fresh and fruity style of wine. A dry full bodied, crisp wine with a tang of guava fruit, soft honey overtones and a lasting finish. Careful handling and winemaking reveals a refined rose petal and lychee character that this variety shows at its elegant best. Deliciously tasty wine with buttery fruit and vanilla oak. Full bodied and well balanced, this is a good all rounder. Complex aromas of lemongrass, ripe apples and pear drops. A full flavoured wine with a tangy and dry finish. Clean, brilliant, pale greenish-yellow. Intense, elegant aromas with fresh, fruity notes. Light on the palate with well integrated acidity. Pleasant finish with a lovely floral aftertaste. Delightful gentle bubbles, with an inviting nose of citrus fruits. Lively and persistent bubbles with pleasant notes of ripe pear and flowers. An intriguing and vivacious sparkling Rosé with delicate strawberry freshness. This spumante Rosé is produced using 100% Pinot Noir grapes and is perfect on a summer evening. This exceptional Prosecco, produced in Valdobbiadene, is classified as Prosecco Superiore DOCG for its outstanding quality. This Extra Dry Prosecco is elegant and crisp with delicious citrus aromas. An exceptional Champagne from small grower Leroux-Mineau based in the heart of the Grand Cru village of Avize. Only 8% of all Champagnes are able to display the Grand Cru label for outstanding quality. Blended solely with the very finest Chardonnay grapes to produce an expressive and delicious Grand Cru Champagne. A delicate salmon pink colour releases lovely fruity notes which provides very good length and is light and fresh on the palate. This is ideal as an aperitif. An excellent example of a Vintage Champagne. Soft and supple in the mouth due to the extra age in the cellar. This Champagne displays lovely fresh citrus and floral notes with excellent length. An extremely elegant Champagne. As a way of introducing you to our new site, a 10% discount is available to all retail customers by using voucher code ‘welcome’. If you are arriving from Heritage Wines or Wine Time Wines we are also delighted to welcome you to our site. Over recent months, a partnership between these companies has been formed to develop the very best online wine buying experience. If you are an existing trade customer of First Class Products, or if you would like to open a trade account with us, please visit our trade site where you have access to all your account history and a dedicated online ordering facility.